Hey all. I have a site with magazine pro and want to change the single post format to be like ambiance pro. Anyone ever marry up two themes like that our have advice on how to tackle this? 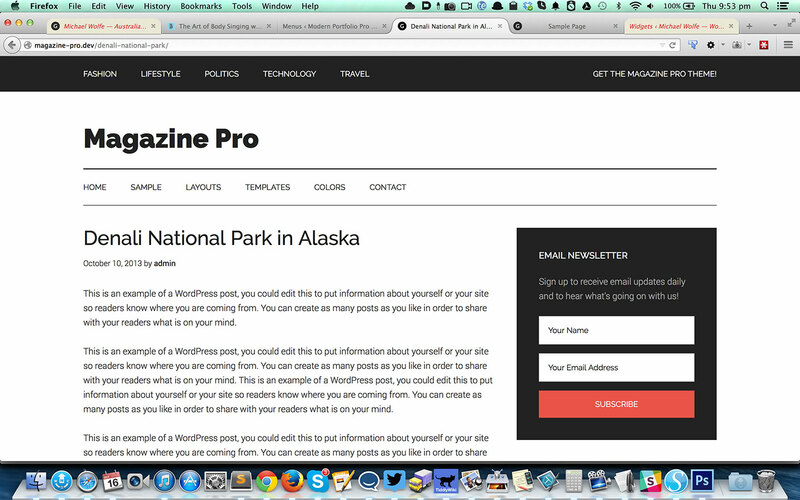 In this article I share the code taken from Ambiance Pro to display featured images for single Posts and static Pages in Magazine Pro. 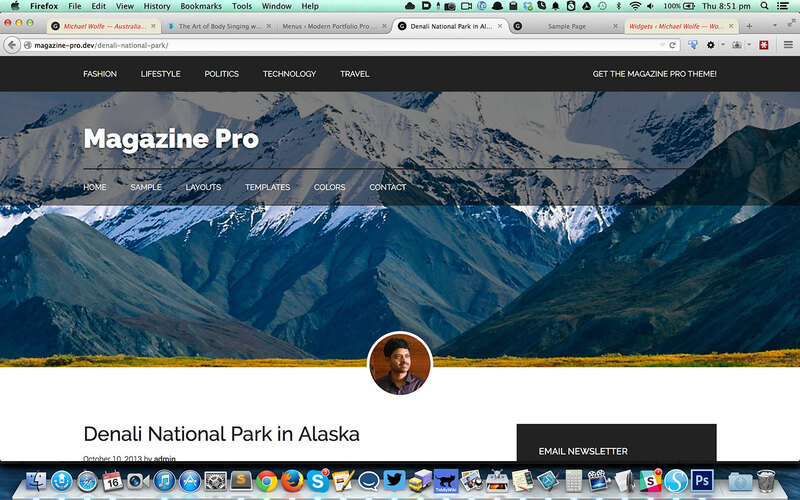 The full width featured images shall be set as background via Backstretch for the Header and Secondary Nav. If a Post or Page does not have Featured image, it will appear normally. Upload jquery.backstretch.min.js to Magazine Pro's js directory. FYI. Did not work. Crashed my site. Everything works, but the featured image is not populating. Any suggestions? Can you provide the URL of site in question? Would it be possible to hide the featured image on certain posts? 1) Do not upload a featured image for the Posts. 2) If the above is not practical because you want to use Featured images for other purposes like displaying in social media when shared, use a custom image field created using say, ACF. You would need to change code to check for this image field instead of the featured image and use/display it, if present. Thanks for this tutorial. Is there a way to make the featured image appear on the blog page? It displays the image after the header, not behind it like the other pages.